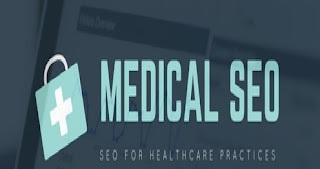 Medical SEO Services, tips, and tutorials for Healthcare practices, Doctors, Dentists, Orthodontists and other Businesses, We can Optimize your Clinics, Hospitals Websites or even you can find a lot of information in here on how to do that yourself. You know that when you are a medical doctor you don't have enough time to start optimizing your website even though you know or you have heard that is important to grow your overall patient base. You want to be more easily found on the internet because that is very important for your medical practice because of patients now search for answers on the internet for their health problems or even out of curiosity. Therefore you need a very strong Medical SEO strategy for your website so that potential patients can find you as a medical professional. Even your existing patients ask for answers online all the time and you should be doing search engine optimization so that you can retain patients and prevent them from turning to your competitors for information. Your website should serve as a valuable educational resource. You should also optimize your social media strategy and content marketing. This website and blog are owned by Burim Bekteshi, who is a medical student on the last year of studies of medicine and who also works for years now as an SEO freelancer. As a medical student and with experience in healthcare internet marketing, he is definitively your trusted person as a freelance consultant. Use our contact page to contact us or click "Hire me" button for a consultation. Medical SEO Services © , All Rights Reserved.